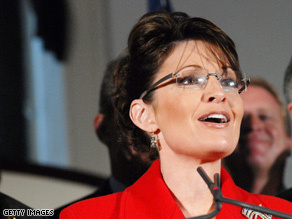 Palin will not be attending this year’s CPAC, confirm organizers. (CNN) - Sarah Palin will not be attending the Conservative Political Action Conference in Washington later this month, her office confirmed to CNN Tuesday. The Alaska governor had been expected to serve as the headline attraction at the three day event, which is also scheduled to include conservative icons like Newt Gingrich, Rush Limbaugh, and Ann Coulter. The presidential straw poll conducted at the annual Washington gathering is widely viewed as a reliable bellwether of conservative support. Several of the GOP’s past - and potentially future - presidential hopefuls are also slated to address the gathering, including Mike Huckabee, Mitt Romney and Ron Paul. Palin spokesman Bill McAllister did not give a reason for the governor's decision, but did agree with one organizer's explanation that it would be difficult for the governor to visit in the middle of the state’s legislative session. The former Republican vice presidential candidate, who recently launched SarahPAC to assist conservative candidates and cultivate a national network of supporters, visited Washington late last month to attend the exclusive Alfalfa Club dinner and several private events.